As we welcome March, the month to celebrate women’s history and international women’s day on the 8th, it is important to recognize and celebrate the social, economic, cultural and political achievements of women. We must remain vigilant. As it has been said, "never confuse movement with action." As the head of a global communications company, I know there are immediate issues we can address just by signing a single petition. Our collective action can create change. We need to reimagine the future. A future where women aren’t financially penalized with added government taxes. A future that doesn’t consider tampons a "luxury" item. Let’s harness our collective passion by abolishing sales tax for feminine items. Many U.S. states tax tampons and other menstrual supplies as "luxury items," as if access to these supplies were an indulgence rather than a necessity. Fortunately, governments are beginning to be held accountable. As of Nov. 2017, Connecticut, Florida, Illinois, Maryland, Massachusetts, Minnesota, New Jersey, New York and Pennsylvania abolished sales tax on things like tampons and pads (non-taxed menstrual items vary from state to state). You can add Oregon, Montana, Delaware, Alaska and New Hampshire to the list, but only because they did not have sales tax to begin with. For the remaining states, pads and tampons are still regarded as "luxury" items, which means all the tax money associated with their cost goes back to the state. In 2016, California estimated it would lose $20 million in local and state revenue if it lifted the tax on menstrual products. This is just the start of a conversation about the unfair "pink taxes" women face as they buy products priced higher than similar ones marketed to men or, in this case, as they must spend on products that men do not. To shed light on this unfair and discriminatory practice, we partnered up PeriodEquity.org, an established law and policy activist group. The nonprofit is dedicated to advancing menstrual access, affordability and safety. Together, we launched a tongue-in-cheek campaign last year that lampoons the tax by featuring diamond-encrusted jewelry pieces that are actual tampon holders. The tampon tax is just one of many ways in which women are financially penalized. On top of that, women's versions of gendered products tend to be more expensive, and women pay more for healthcare, largely due to the high cost of birth control and pregnancy. Women in the U.S. generally end up facing more financial burdens than men. To put this into context, some non-taxed "necessities" include: donuts, cowboy boots, marshmallows and tattoos. Things that US states have considered "non-necessities" include: cigarettes, alcohol, diamond jewelry, luxury clothing and…tampons! It begs the questions, why on earth are we taxing women for being women? Visit www.periodequity.org and find out how you can abolish the tampon tax in your state. 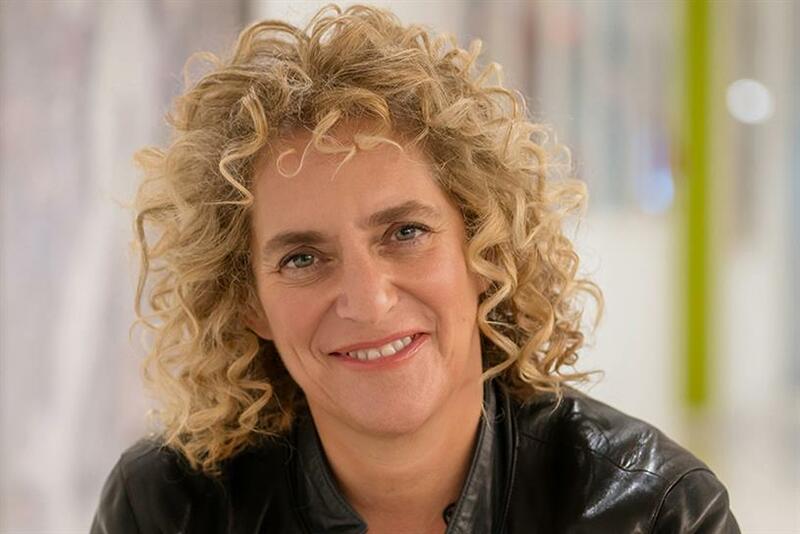 Tamara Ingram is the Worldwide CEO of J. Walter Thompson.